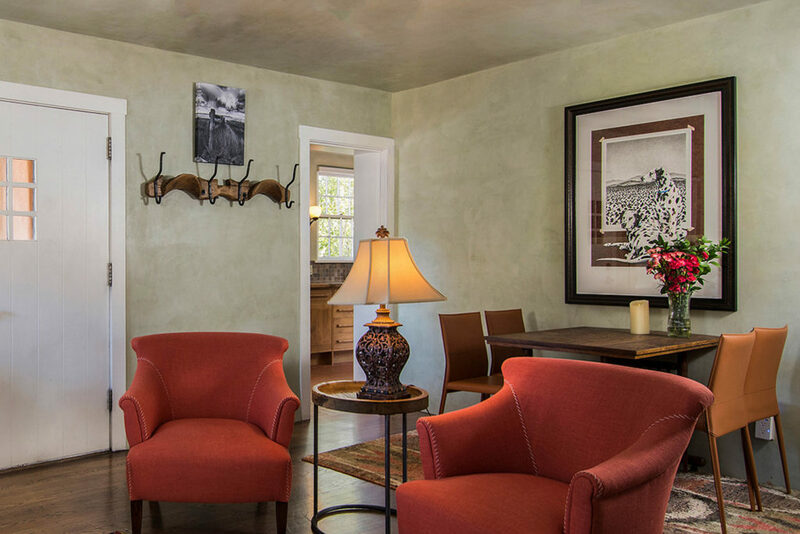 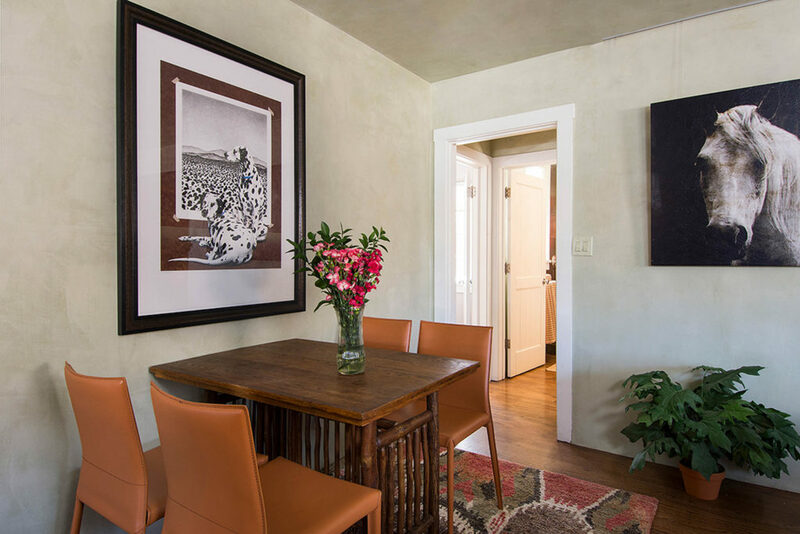 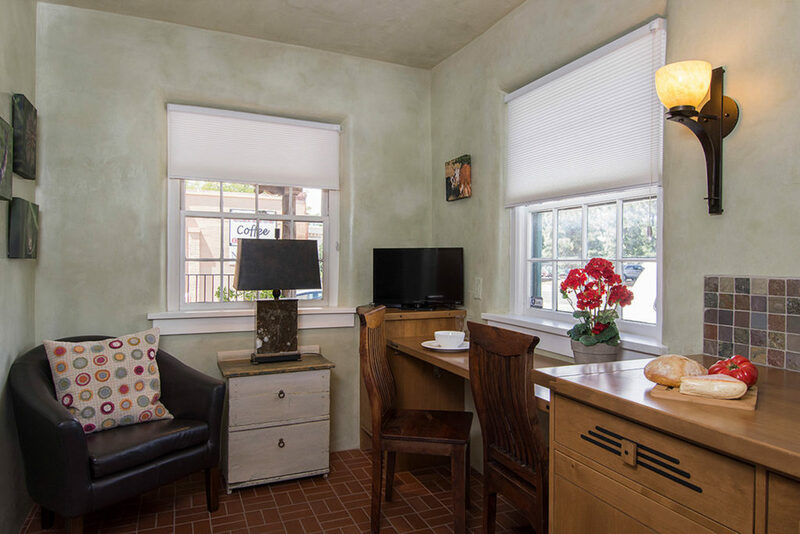 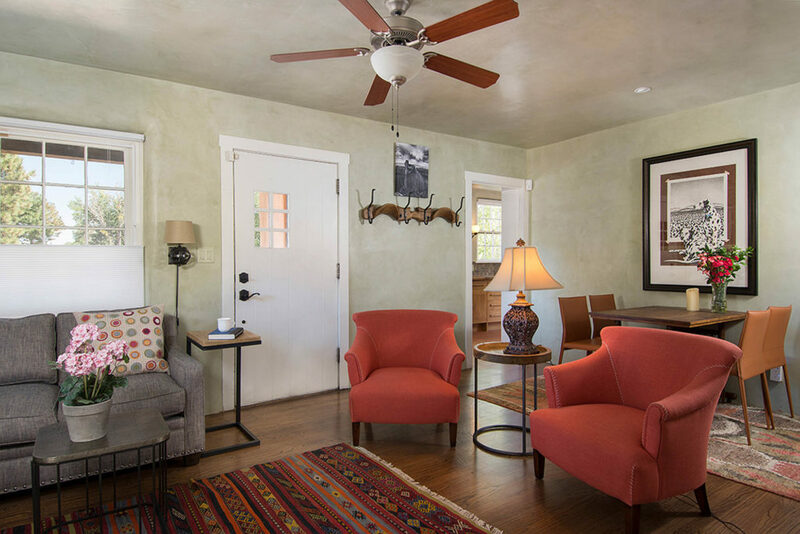 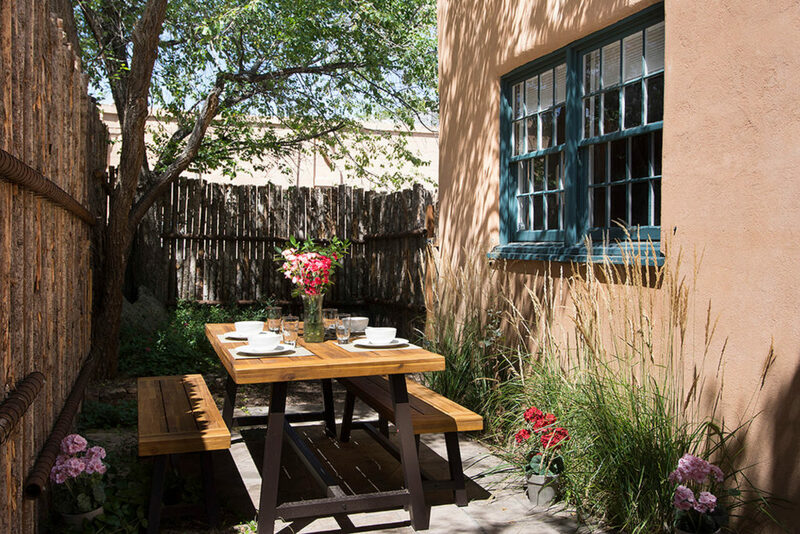 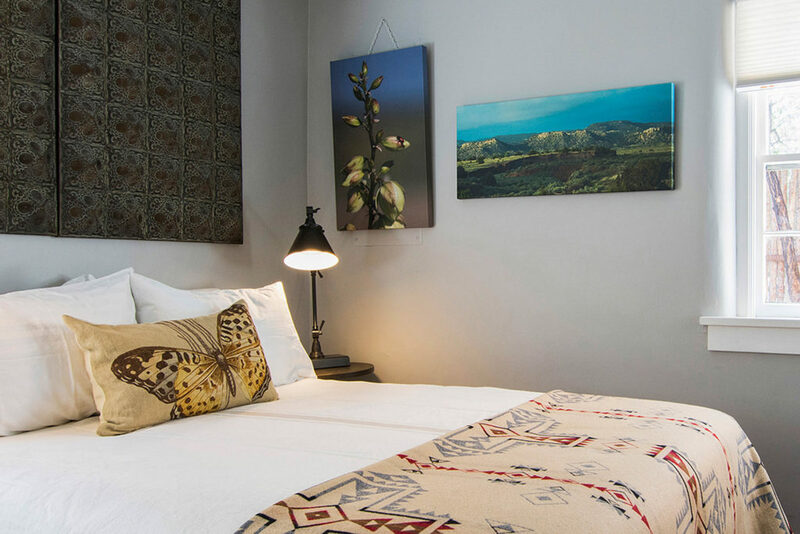 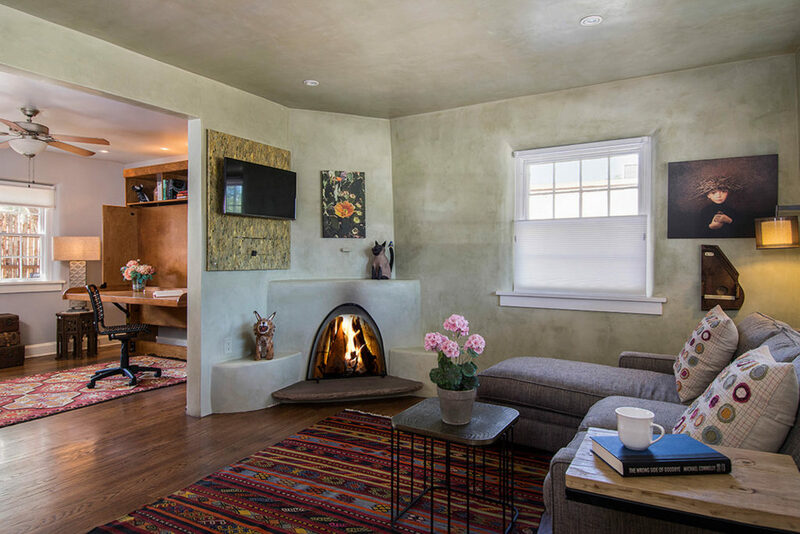 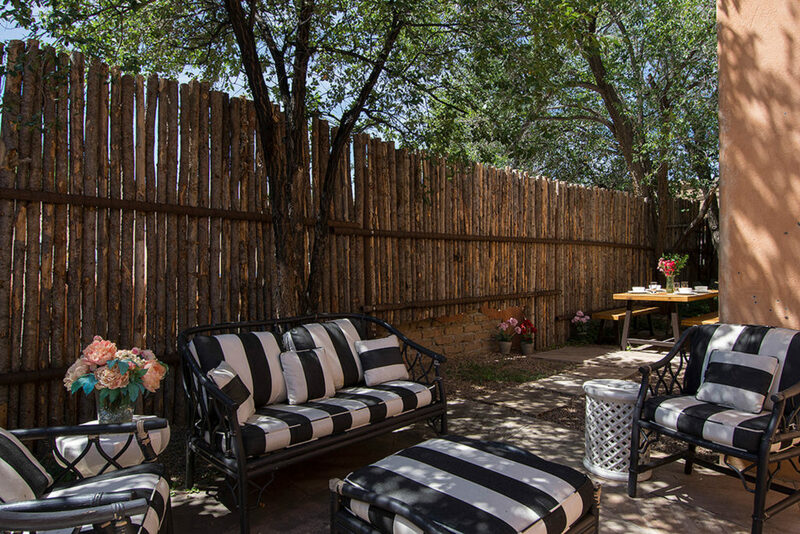 Paseo de Peralta is a charming adobe home that was built in the 1920’s. 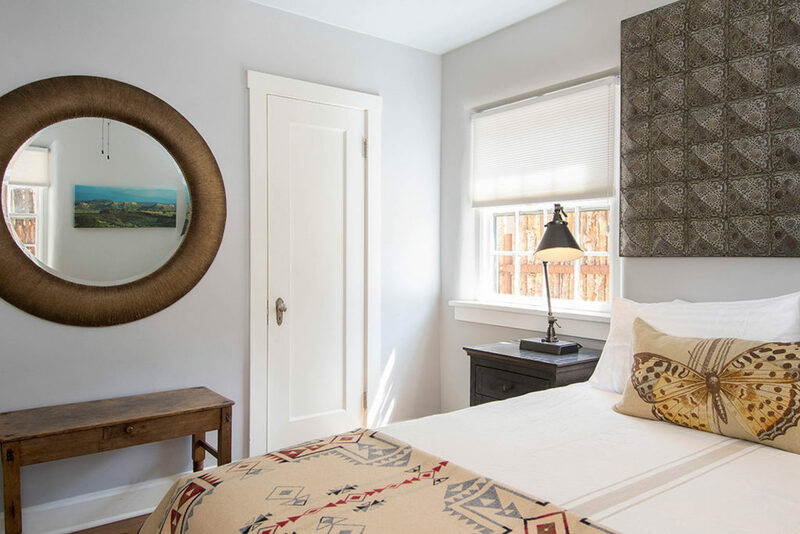 It was originally a two- bedroom home that has been converted to a one bedroom, office/bedroom by the installation of barn doors between the living room and the office. 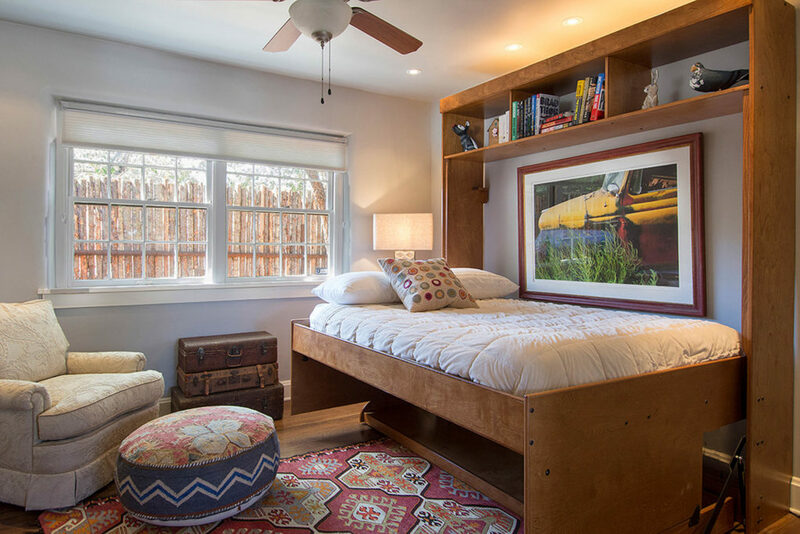 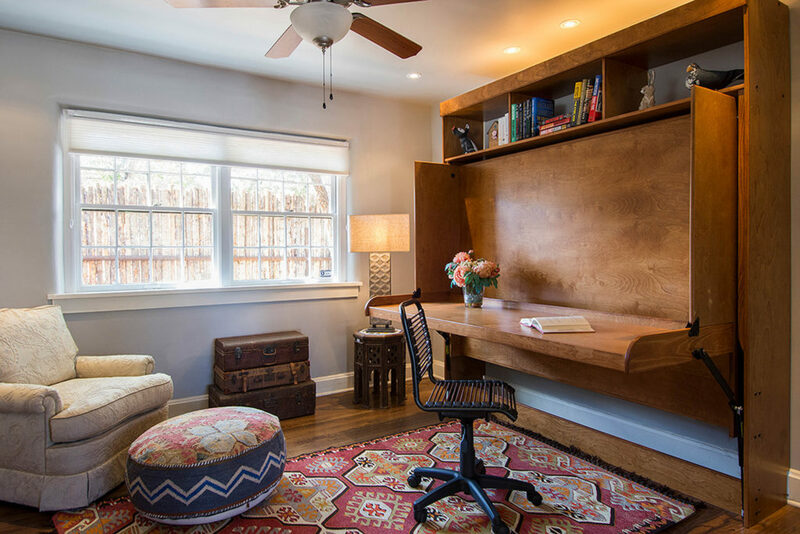 A Murphy bed that converts to a desk makes the office a perfect place to work. 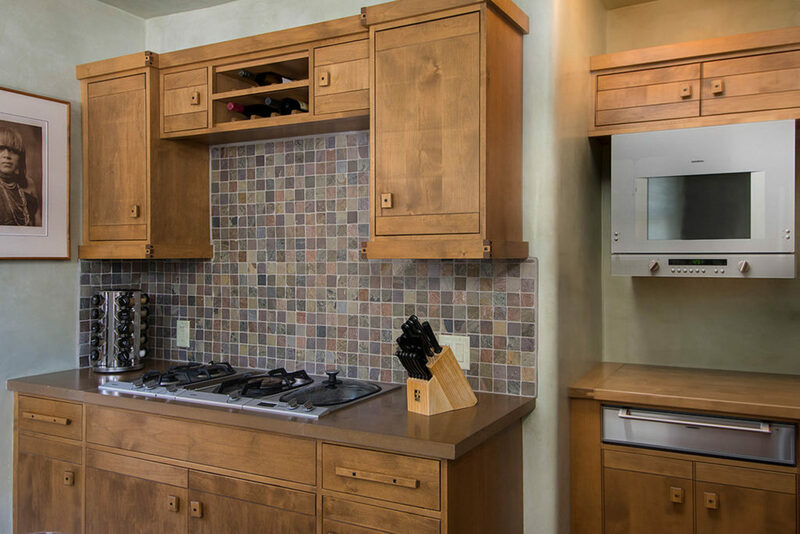 The kitchen is a cook’s dream. 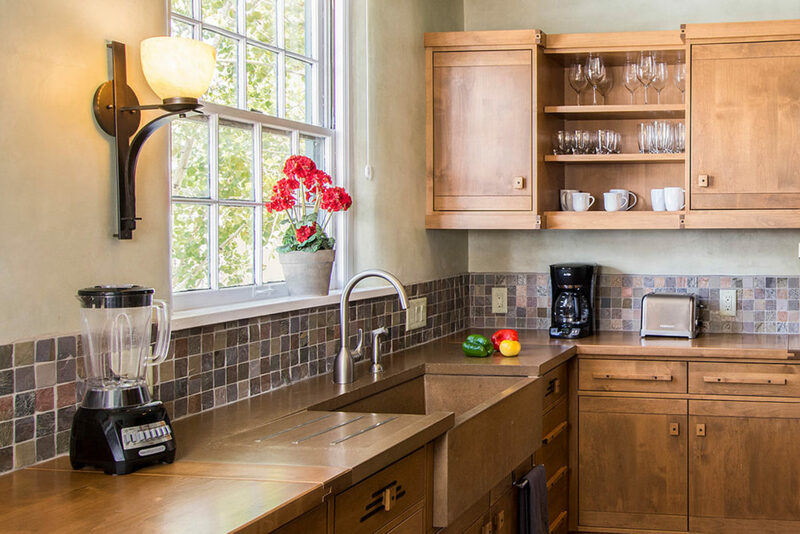 The appliances are Gagganeau and the sink is concrete. 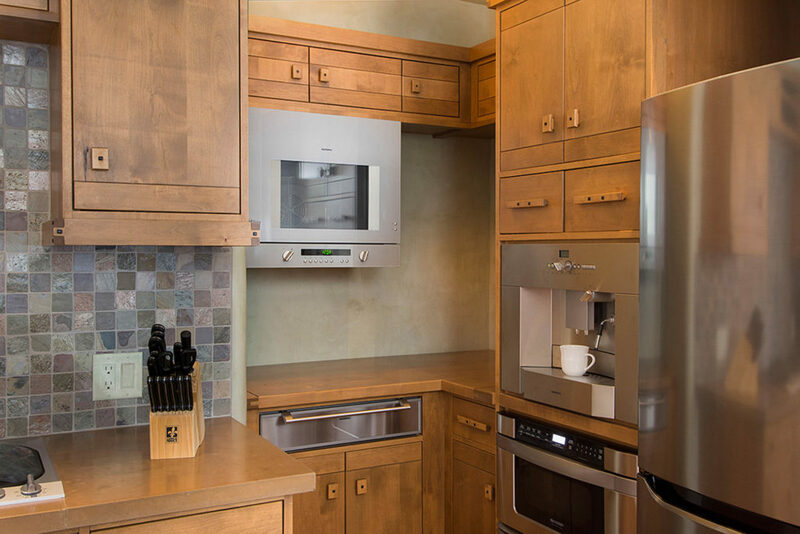 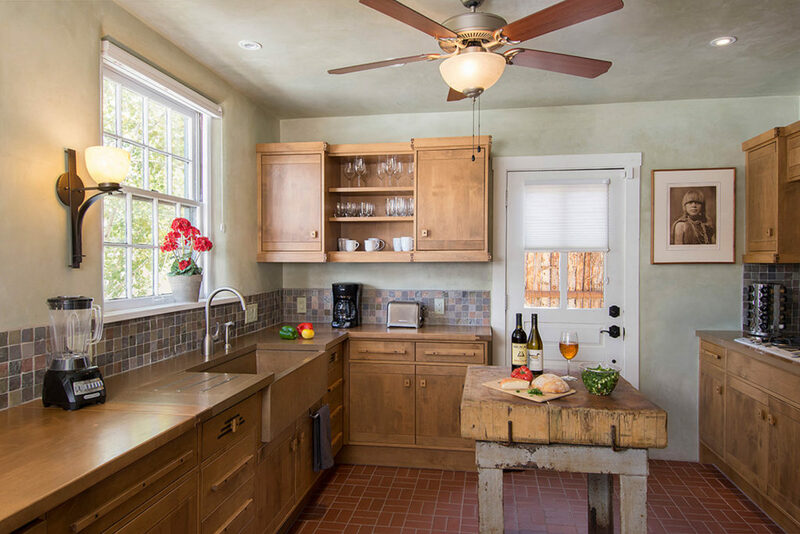 A butcher block in the center of the kitchen is a perfect addition. 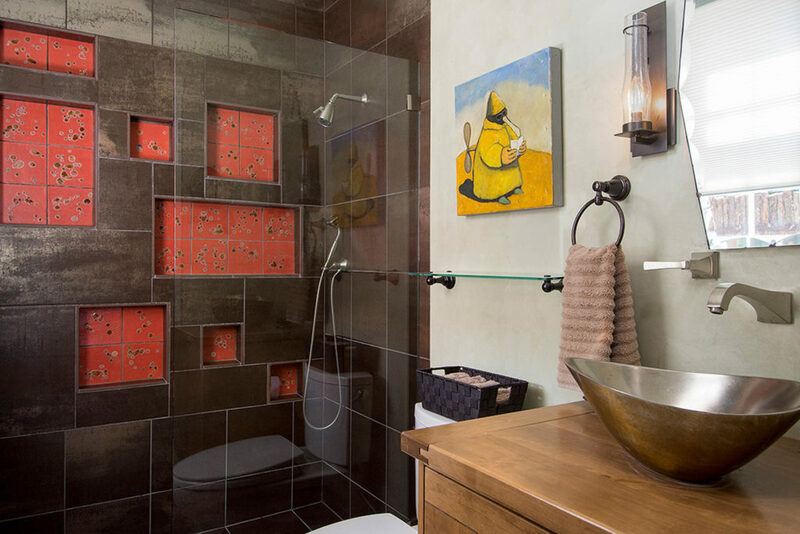 The bath includes glass tiles in the shower lending a contemporary feel to this vintage home.